Economic and Financial Crimes commission (EFCC) has for the avoidance of doubt cleared the air over the claims of receiving a "10 Million Naira donation from the Kano Government" stating that no State Governor or Individual has donated any amount to EFCC. 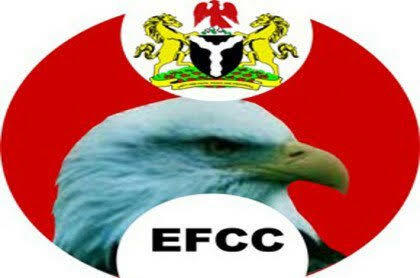 EFCC Did Not Receive N10 Million Donation From Kano Govt. The attention of the Economic and Financial Crimes Commission, EFCC, has been drawn to a trending story in the social media concerning a purported statement credited to the media aide of the Kano State governor to the effect that the Commission got a N10 Million donation from the state government. The story is not falsehood, but a deliberate attempt to malign the efforts of the Commission in the fight against corruption. For the records, it is a tradition that the EFCC does not receive donations from state governors/ government or any individual at that. Mr. Jacob Onu, the leader of the National Anti-Corruption Marathon had in the course of his visit to the Commission a fortnight ago told the Acting Chairman and his management about the marathon which he said is being planned in tandem with the International Anti-Corruption Day which usually comes up on December 9 every year. The story is not only unfounded but very mischievous. For the avoidance of doubt, no State governor or some other individual or group has donated any amount of money to the EFCC to carry out the Anti-corruption Marathon project or any other project for that matter.